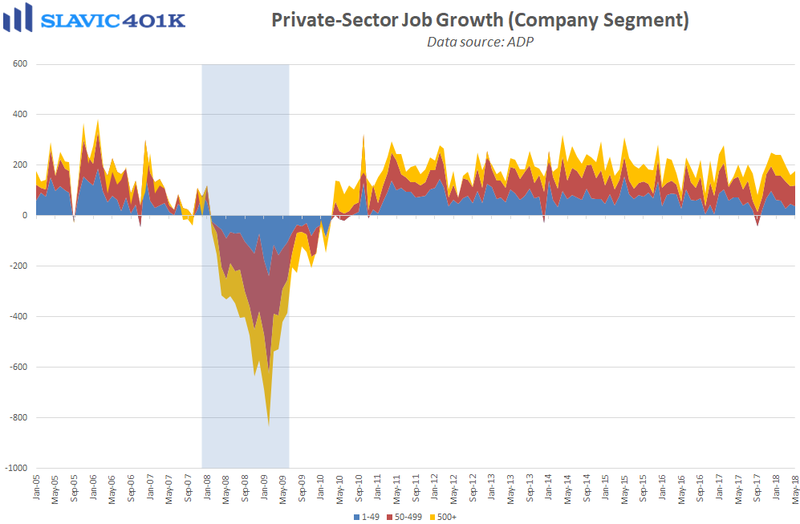 Private-sector payrolls in America rose by 178K in May, according to new data from ADP. That is a smaller increase than expected and the April gain was revised sharply lower (204K to 163K). 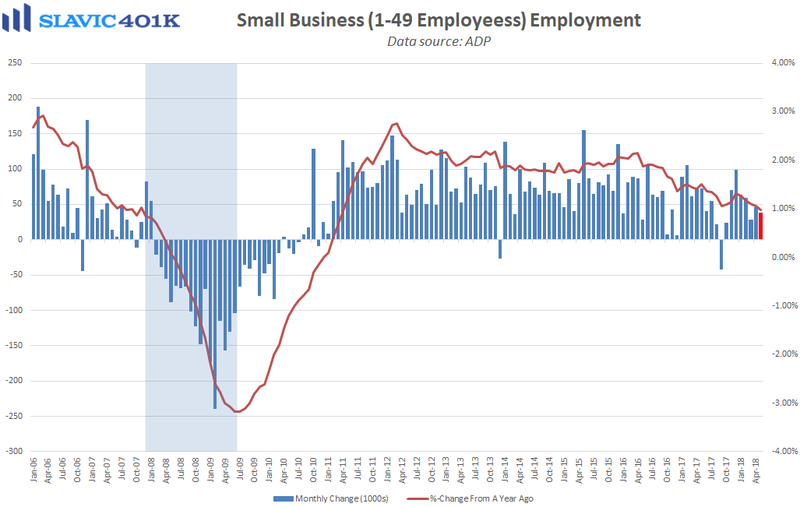 As a result, the less volatile 3-month average pace of job creation fell to 180K in May, the first sub-200K reading since November of last year but still well above the pace of job creation needed to keep up with population growth. Under the hood, payrolls jumped by 64K in the goods-producing sector thanks to solid gains in mining, manufacturing, and particularly construction hiring.